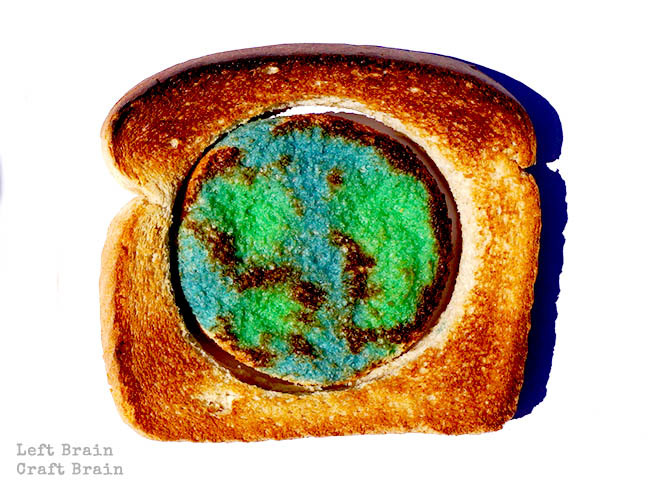 Earth Toast is a fun approach to a very serious topic. Global Warming. 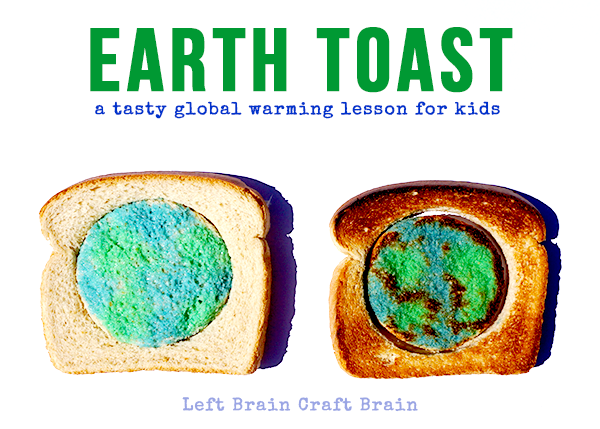 Help your kids understand what is happening to the earth and what we can do about it while you chat over a piece of toast. It’s bread globally warmed, so to speak :) This post contains affiliate links. 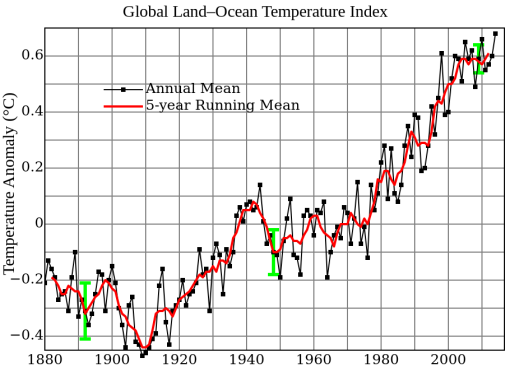 Global warming is the century long rise in the earth’s climate system. The planet’s climate system includes surface, air and ocean temperatures. According to NASA, the average global temperature on earth has risen 1.4 ºF since 1880. It doesn’t sound like much, but a 2 degree downward shift in temperature was enough to send us into an Ice Age. Plus, 2000-2009 was the hottest decade on record. Ever. “Global Temperature Anomaly” by NASA Goddard Institute for Space Studies – http://data.giss.nasa.gov/gistemp/graphs/. Licensed under Public Domain via Wikimedia Commons. So what’s causing all this heat? Most scientists agree that the majority of the change is from the increase in greenhouse gasses in our atmosphere. The biggest culprit is the burning of fossil fuels like gasoline and coal which release carbon dioxide when burned. Other gasses at fault include the methane produced in agriculture (yes, cows) and landfills, nitrous oxide from fertilizer, refrigerator coolants. The other risk factor? The reduction in forested lands because trees act as natural CO2 filters. It really comes down to conserving energy. If greenhouse gasses are the problem, then start cutting back on things that use gas and coal. Like… Ride a bike. Carpool. Use CFL lightbulbs because electricty production uses fuel. Turn off your lights. Recycle. Be water smart. The EPA has a great list of 25 things you can do right now to protect our climate. 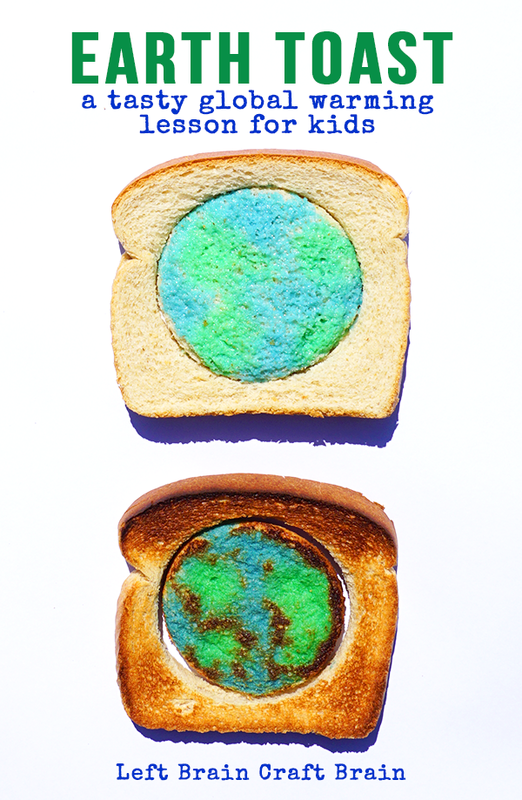 Earth toast is a fun variation on toast painting, a 5 minute craft we did a while back. But this time, kids can paint the earth and watch how global warming (i.e. toasting) makes it dryer and browner than it used to be. Just like it’s doing to our planet. Earth Toast is really simple to make with some simple ingredients from the grocery store. Toppings like butter, cinnamon sugar, etc. 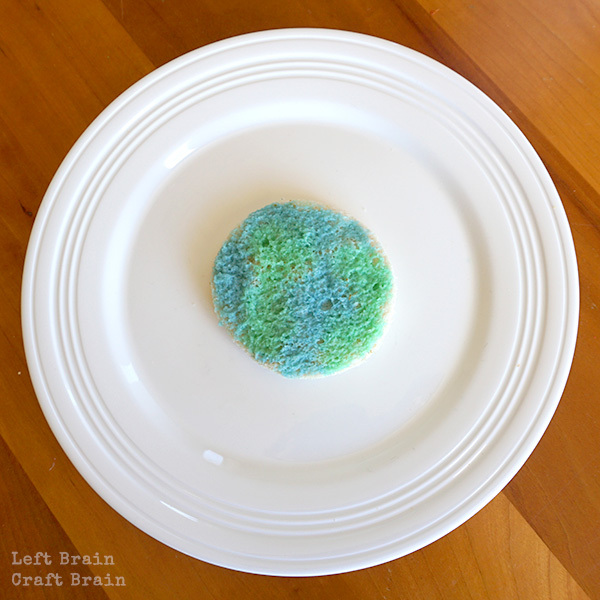 Make your “paint” by adding a drop of food coloring to a few tablespoons of milk and mix well. 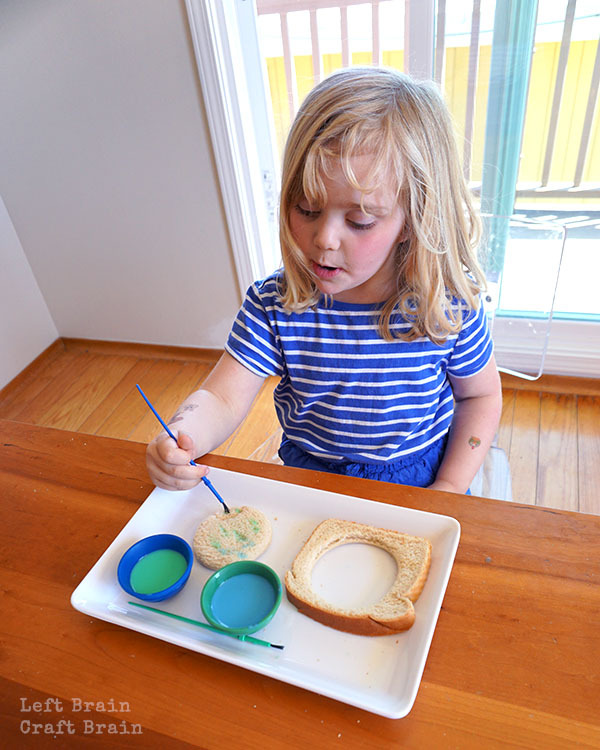 Then take your bread piece and cut a circle in it with the cookie cutter. Next paint with the blue and green milk to make it look like the earth. Don’t go too heavy on the milk or the toast won’t crisp up. Finally, toast the bread in a toaster oven or oven, making sure to watch it so that it doesn’t burn. I noticed the crusts were ready before the earth because they didn’t have milk on them. 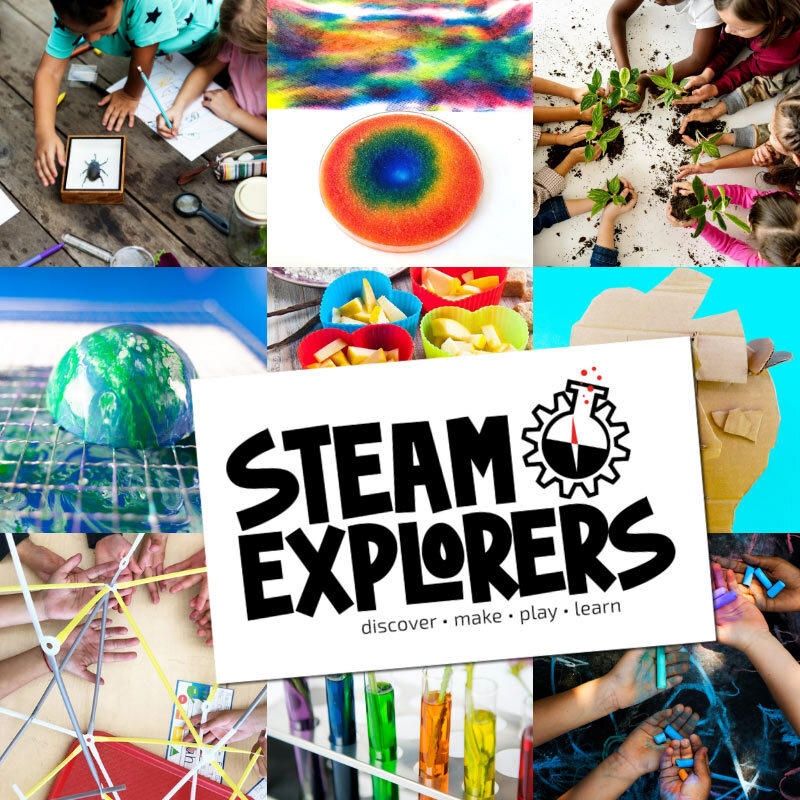 This is just one of the videos you get in STEAM Explorers, the coolest new creative adventure for kids. Celebrating the Earth this April 22nd? Here are some fun activities to keep you busy! 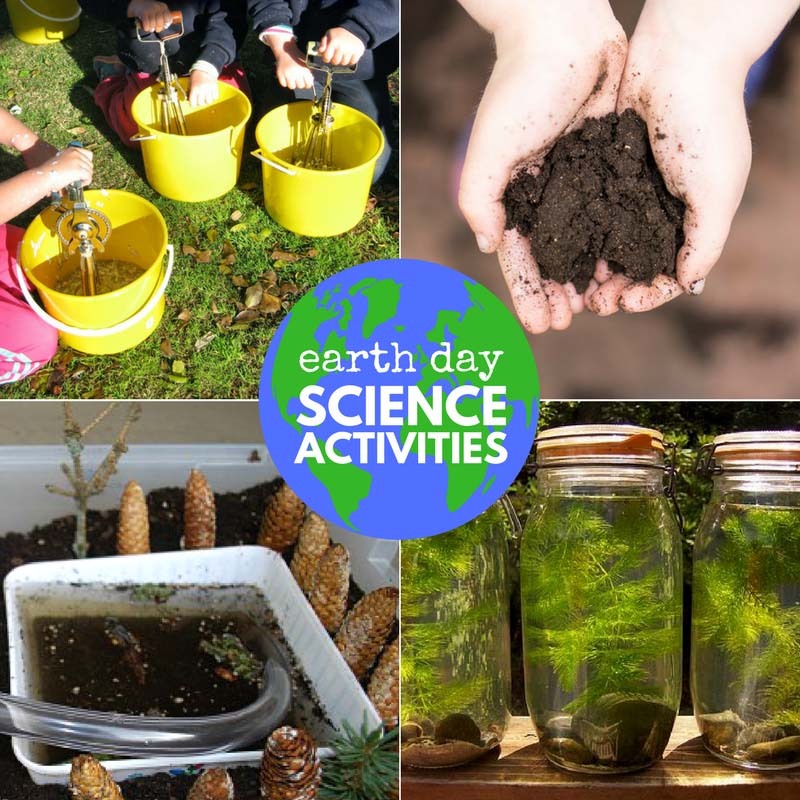 Learn about the Earth with this fun list of Earth Day Science. 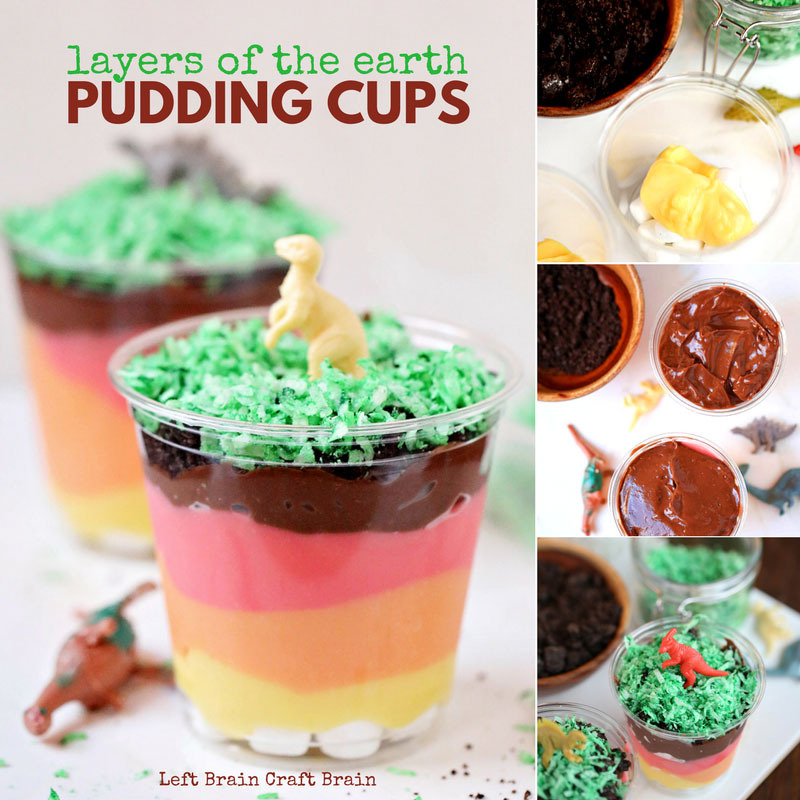 Layers of the Earth Pudding Cups – Explore some marshmallow core and pudding mantle with this edible science project. It’s fun for birthday parties too! 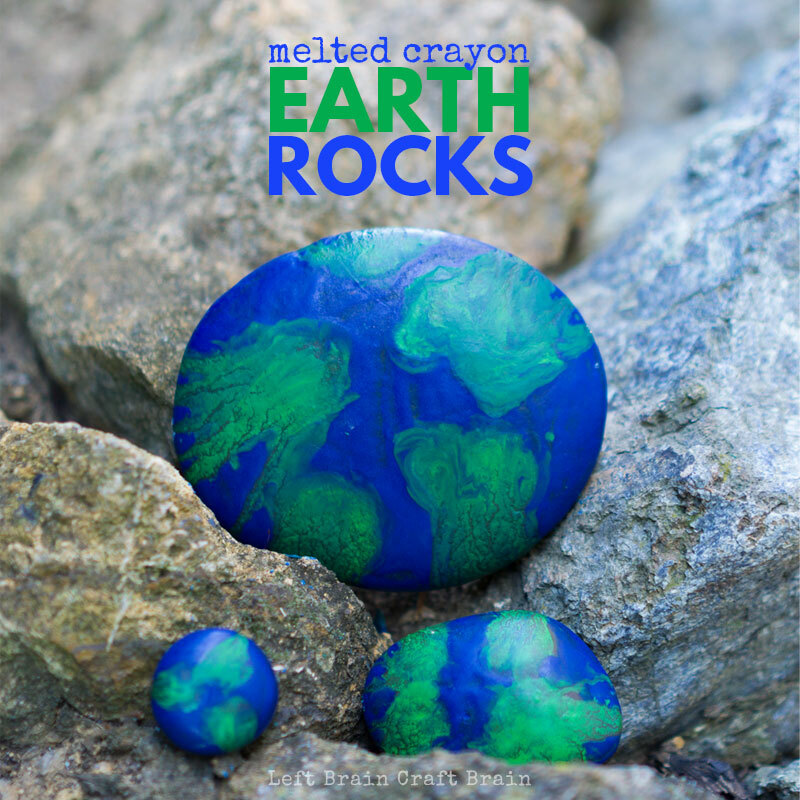 Melted Crayon Earth Rocks are a creative way to put the Earth in your hands. They make great community art too if you make a bunch and place them around the neighborhood in parks or people’s gardens.